Summary Your child will learn more about staying healthy, knowing their home and community, tools for fixing and building, cooking healthy, being safe, making good choices, and much more. 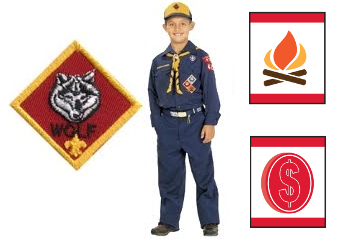 If a Cub Scout has completed the first grade and has earned the Bobcat Badge, they may start earning the Wolf rank. 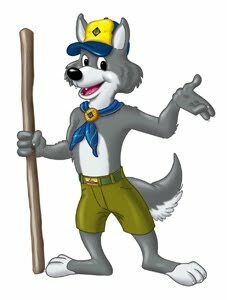 When they receive the Wolf Scout handbook, they may beginning the Wolf portion of the Boy Scout trail. They will also need a blue Cub Scout Uniform. This part of the Boy Scout trail is intended to take one school year, preparing the scout to begin earning theirBear rank after they complete second grade.